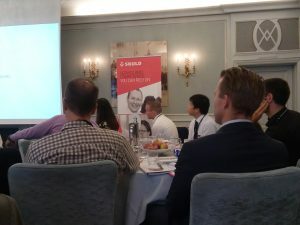 Zuberoa Elorriaga attended the course of P&I insurance organized by SKULD School 2016, which took place recently in Oslo. Among other hot topics, contributors of the Club commented different issues such as Offshore, Collisions and Wreck Removal, the problem of Stowaways on board and the Personal Injury. AIYON ABOGADOS LLP wants to congratulate SKULD for the excellent organization and for the warm welcome offered.